These days, ERP (Enterprise Resource Planning) software is essential for businesses of all kinds. 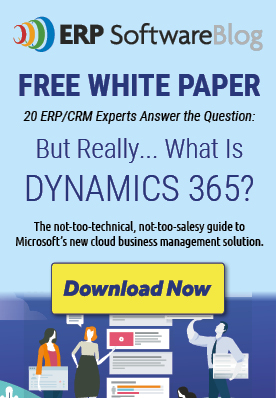 If you are in the market for a world-class ERP solution at a reasonable price, no doubt Microsoft Dynamics is on your short list. You can read articles here on the ERP Software Blog about the features and benefits of Microsoft Dynamics GP and Microsoft Dynamics NAV, but what about the cost? Will it fit your budget? We have an easy way to find out. Our Microsoft Dynamics Quick Quote Price Wizard is designed to give you a working estimate of the cost of license and maintenance fees plus the estimated implementation and services costs. On the right-hand side of each page of the ERP Software Blog, you’ll see an orange bar labeled “Request an Instant Dynamics ERP Quote”. Click that bar and you’ll be taken to the very brief Quick Quote form. 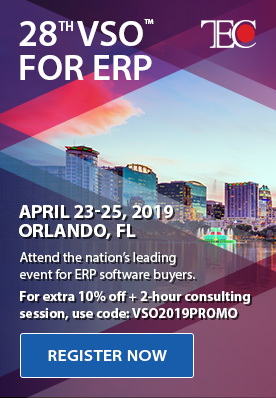 Answer a few questions to let the Wizard know what level ERP software you need: basic, basic plus, or advanced financials; on premises or in the cloud; how many and the type of users you anticipate; and the level of implementation support you require. Include your contact information, click submit, and instantly a personalized proposal will pop right into your inbox. Our tool gives pricing based on the current version of Microsoft Dynamics GP, but you can use the pricing as a guide for Microsoft Dynamics NAV and Microsoft Dynamics SL. Experts are available to help with Microsoft Dynamics AX pricing. The Quick Quote includes a list of functionality for each product and a way to get more information so you can choose the product that is right for you. The Quick Quote is not a binding contract; pricing is for budgetary purposes only. If you’re serious about implementing an ERP solution that’s user-friendly and comprehensive, get your Microsoft Dynamics ERP Quick Quote now.